Anyway, before I get to the actual produce you can generally find during the spring, there are a few things to understand. Yes, seasonal eating certainly has a connection with healthy eating, with “real food” diets, and with sustainable living. And yes, I usually advocate for these principles because I believe in them and their impact on health and the environment. But even if you don’t, here’s one simple reason to buy produce in-season: taste! 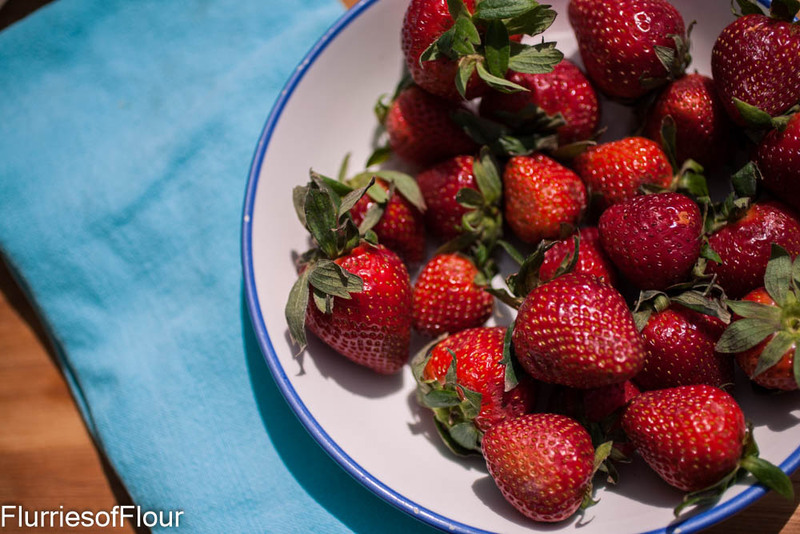 A strawberry you eat at the peak of strawberry season will be infinitely sweeter and taste a million times better than one you buy in the middle of winter. Don’t get me wrong—because of fast and easy shipping and world-wide growing seasons, you can usually find decent produce out-of-season (but not always and not for all produce). Sometimes I really just want blueberries in November or peaches in my green drink in January. I buy bags of spinach all year long. But there’s really something special about waiting with anticipation for that first spring produce to show up in stores, the first taste of a strawberry that almost bursts with “summer”, or the bright herby taste of emerald green summer basil. And, really, out-of-season produce just taste flat. Also? It can be cheaper to buy produce in-season. In-season crops are usually more abundant and don’t have to be shipped so far; it’s supply and demand. Just a kind of quick aside—you know how some foods seem to show up together more often than others? Like beans, corn, and squash, or strawberry and rhubarb? That’s because they grow during the same growing season. Thus, they are often paired together. So What’s in Season for Spring? Now we get to the good stuff—what’s in season during the spring. I’m providing a basic list of spring’s fruits, vegetables, and herbs. It’s not a completely comprehensive list, however, because 1) I didn’t want this blog to be 10 pages long and, 2) different growing regions grow unique produce and can even have different growing times. A quick Google search can give you the full picture! Also, I’m including the growing season for each. Some are found in early spring, others late spring, and others over the entirety of spring and into the summer. 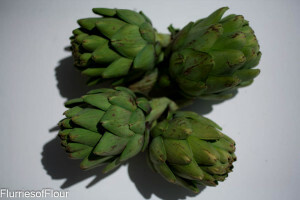 Artichokes, the edible bud of a type of thistle flower. The leaves of the artichoke you choose should be tightly pressed against each other and the stem should be firm. Don’t buy one with shriveled or unhealthy-looking leaves. Storing them in the crisper on high humidity will keep them from wilting too quickly, but they should be used within a few days. Artichoke season is generally March through May. Asparagus—easily the favorite spring veggie in our house. I can’t tell you how excited we are when the first asparagus pops up in grocery stores. The tall, skinny stalks of asparagus you see in very early spring are the first of the crop; the stalks will grow larger and fatter as the season progresses. Look for tight heads with firm, unwrinkled stalks that stand up firmly. Wrinkled wobbly stalks are probably old. The best way to store them is stalk-down in a glass container filled half-way with water and placed in the fridge. 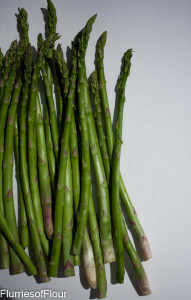 Asparagus season is generally March through May. Fava beans, like peas, can be found from spring into late summer, depending on the climate. Look for bright green pods that don’t have any yellow patches. The smaller beans are sweeter, if that’s what you prefer. Beans already shelled should be smooth. Store them unshelled in a perforated plastic bag in the crisper. Peas are one of my favorite spring vegetables. Not only do I love the mild, sweet taste, but I took a gardening class when I lived in Seattle and my favorite thing to do was to train the pea vines to climb trellises. It was so much fun to gently lead the delicate tendrils to curl around the string. Peas should be in pods that are decently free of discoloring or wilting. Smaller pods will have tenderer, sweeter peas. Use the peas within a few days. Store them in a perforated plastic bag in the crisper. Peas are best during late spring and early summer and are at their peak in May. Spicy, slightly sweet radishes add crunch, flavor, and a bite to more than just salads. 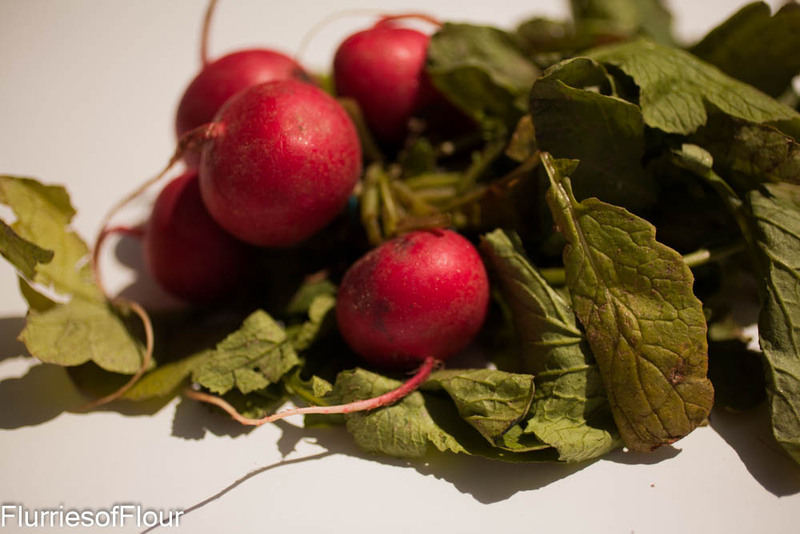 Radishes can also be pickled, roasted, and sautéed which diminishes their spiciness and brings out their sweetness. Did you know the greens are edible too? Look for bunches of radishes that are firm and unwrinkled. They’ll last several days outside of the fridge. In the fridge they can last up to a month. Their peak season is March through June. Ramps, also known as wild leeks, are small wild onions that have a mild oniony flavor. They usually grow in the Eastern half of the United States and have a short growing period during April, although they can be found as late as June or July. I’ve found that people are in two camps about rhubarb—they either like it or don’t like it. I love it and it’s one of my mom’s favorites; I make it in some form every year for Mother’s Day/her birthday (usually just a few days apart). Rhubarb can be tart, but stewing, baking or creating jams or syrups can bring out the sweetness. Although rhubarb is usually found in some sort of sweet form, it’s actually a vegetable! Make sure not to ingest the leaves, however—they can be toxic. Look for rhubarb that is a vibrant pink/red or green and glossy. The stalks should be firm with little to no brown at the bottom edge. The stalks that are deeper red tend to be sweeter. Store rhubarb without the leaves in a perforated bag in the crisper drawer of your refrigerator. Uncooked rhubarb also keep well in the freezer for up to six months. 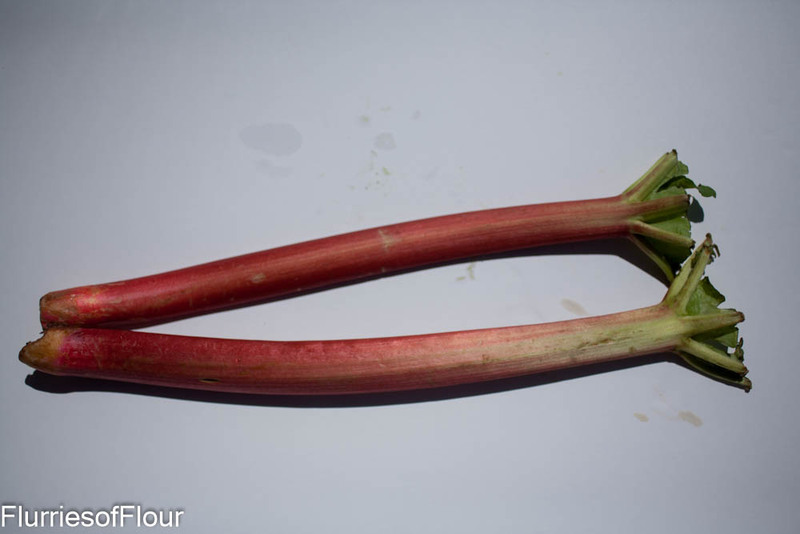 Rhubarb is at its peak from April to June, although it can be found later into summer. These small onions are available year-round, but taste best at their peak during spring and summer. Look for bright green tops and white bases that are firm. Avoid any scallions that are wilted or slimy. Scallions can be stored in a perforated plastic bag in the crisper drawer of the fridge. You’ll see the first spring lettuces start to pop up now, although they won’t be out in force until late spring and into summer. 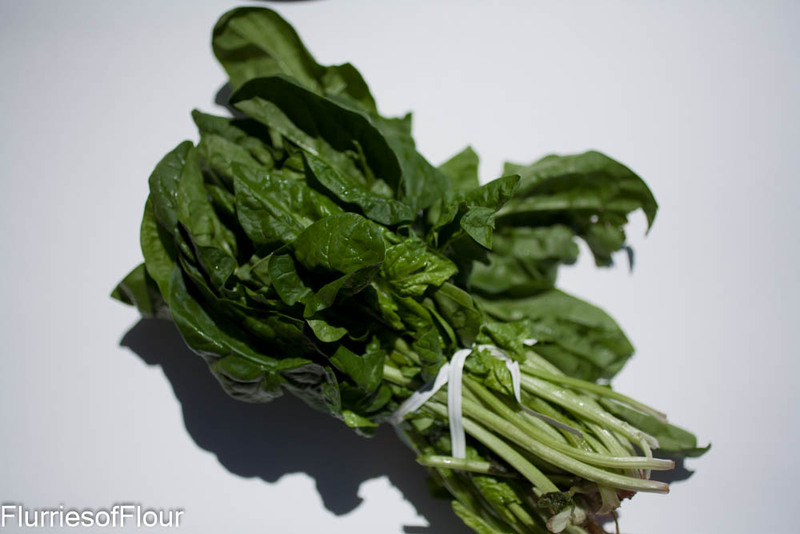 Spinach is one of those early bloomers—did you know that they grow stalk by stalk out of the ground? Look for leaves that are a dark, vibrant green and crisp. If you buy a bag, make sure there aren’t any leaves starting to wilt or (worse) rot. 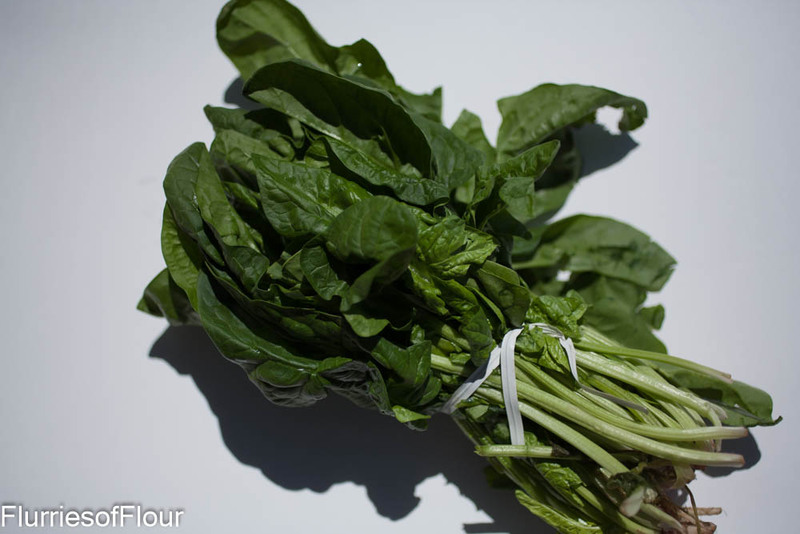 Store spinach in a perforated bag in the crisper drawer and don’t wash it until you’re ready to use it. Spinach is best from April to about June, although you can find it later into the season depending on the climate (and of course year-round in most grocery stores). Oh, strawberries. So deliciously, brightly sweet during the spring and summer, so flat and off- tasting during other seasons. I always make the mistake of buying strawberries a little too early—you start seeing the bright, shiny jewels of fruit in March. They smell so good, but get them home and they just taste… dull. Look for strawberries that are bright red and shiny and smell sweet. 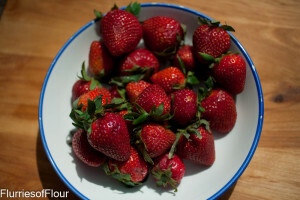 Strawberry season is April to July and that’s when they’ll be at their sweetest. 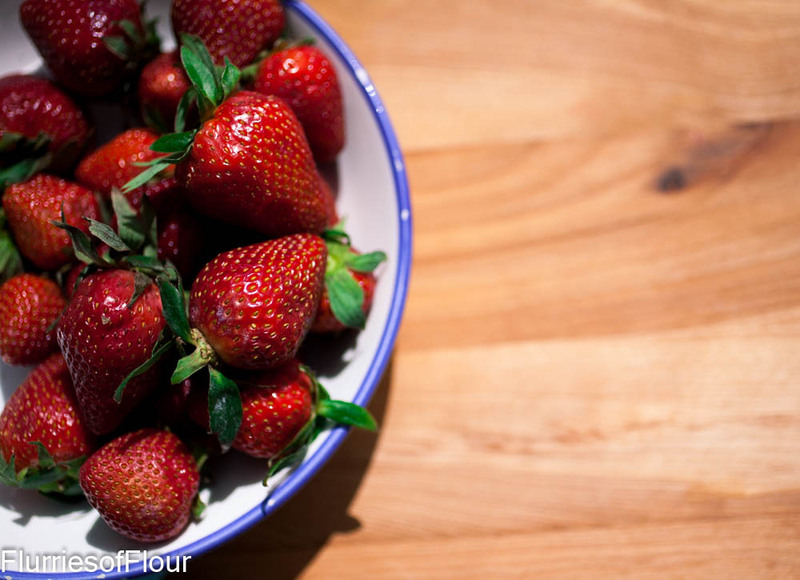 You can store strawberries outside of the fridge for a day or two. You can also store them in the fridge in a sealed container layered in single layers with paper towels between them. And if you want that sweet strawberry taste, freeze them on a sheet pan in a single layer and once frozen, transfer them to a Ziploc bag or airtight container. Look out for the summer edition of What’s In Season, probably at the end of May or beginning of June. Please feel free to add any spring veggie information I may have left out in the comments! ‘Till next time!Questions? Comments? 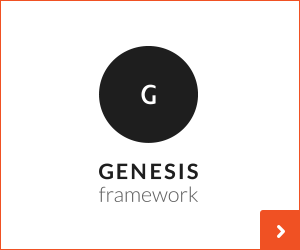 Blog requests? Comment below!